Search Results for "packing bags"
Kyiv, Ukraine - December 2016: Packaging of bags with cement in large stacks. 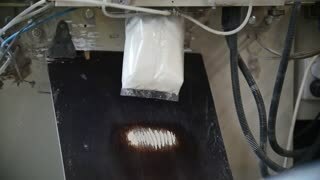 Automatic packing bags with loose material. Conveyor for packing bags in a cement plant. Industrial production of cement. Kyiv, Ukraine - December 2016: Packaging of bags with cement in large stacks. Automatic packing of bags with free-flowing material. Conveyor for packing bags in a cement plant. Modern equipment. 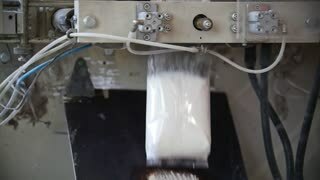 Automated process of stacking flour bags in stacks. Conveyor for packing flour in bags. Packing flour at the factory mill. Production line for packaging. Manufacture of food products. Man takes out of packing bags a lot of pots with Tuya plants. Gardener neatly unpacks spherical plants, which he puts on floor after transportation and delivery. 1970s: Astronauts in spacecraft read papers, talk. Astronauts pack bags. A person packs bags with potato crisps into a box, taking them from a conveyor. Filling empty boxes with flour at a flour mill. The conveyor for packing flour in bags. Packing flour at mill. Production line for packaging. Manufacture of food products. Filling empty boxes with flour at a flour mill. The conveyor for packing flour in bags. Packing flour at mill. Production line for packaging. Manufacture of food products. Close up shot. Filling empty boxes with flour at a flour mill. The conveyor for packing flour in bags. Packing flour at the factory mill. Production line for packaging. Manufacture of food products. Kiev, Ukraine - Fedruary 2017: Filling empty boxes with flour at a flour mill. Conveyor for packing flour in bags. 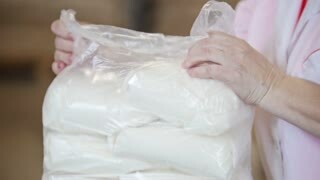 Packing flour at mill. Production line for packaging. Manufacture of food products.